So many people have had to deal with a nasty little secret . . . head lice. In fact, some say that head lice is the second most common condition after the common cold! Approximately 6 - 12 million people in America alone get head lice every year.1 So if you or your child have head lice, don't feel like you're the only one. You are clearly not! So rest easy. All you need is time and patience to get rid of these nasty little buggers once and for all! The two phases need to happen somewhat simultaneously, though getting rid of lice on the head comes first (for obvious reasons). 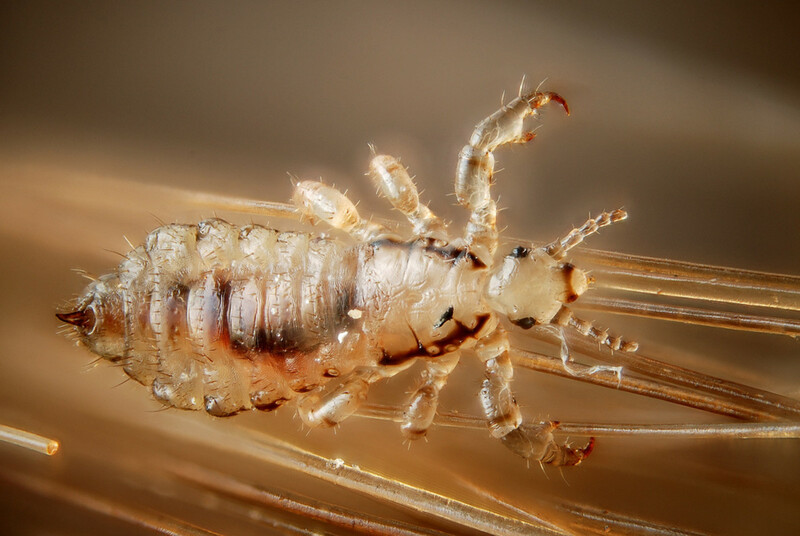 In this article, I'll go over how you can treat the lice infestation naturally and de-louse your house. This might be the priciest option, but it could be worth it for the peace of mind. Wet combing with a nit comb is very effective for removal of lice and nits. OK, if you know that there's lice to get rid of and you want to wet-comb it out, it's time to buy a good nit comb. This will not be one that you find in a local pharmacy or grocery store. Those nit combs are not good quality and, from my experience, will not work. 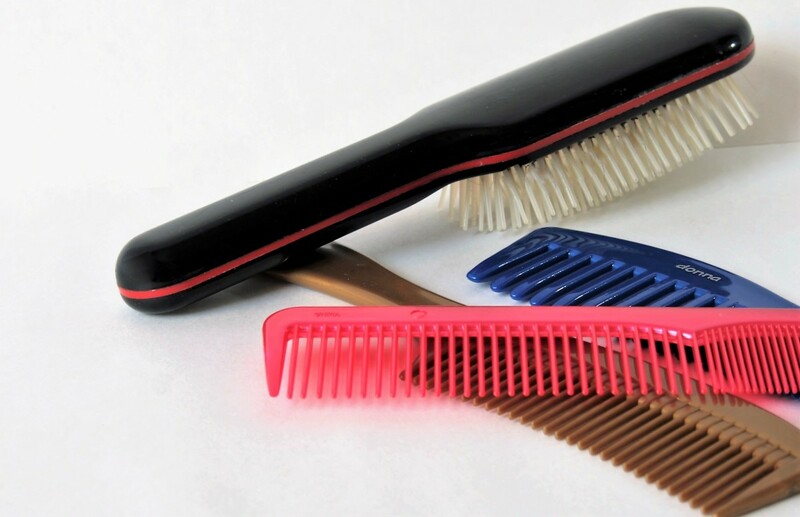 The type of comb we have used with success is called the Nit Free Terminator Lice Comb. It can be purchased at certain beauty stores like ULTA or online through Amazon and other websites. Wash or wet your child's hair. With the very first combing, it is easier to find the adult lice and nits when the hair is wet. Some people recommend washing the hair first with Head and Shoulders shampoo or tea tree oil shampoo. These types of shampoo may work to stun the lice so that you can find them more easily. In my experience this wasn't necessary, but it may help. Get all hair products out of the hair before combing the lice out. In my experience, having anything else in the hair will just make it harder to find the lice. Put on gloves and get a bowl of water to dip the comb in after each time you run through comb through the infected person's hair. This will remove the adult lice from the comb and prevent them from going right back onto the scalp that you just removed them from. 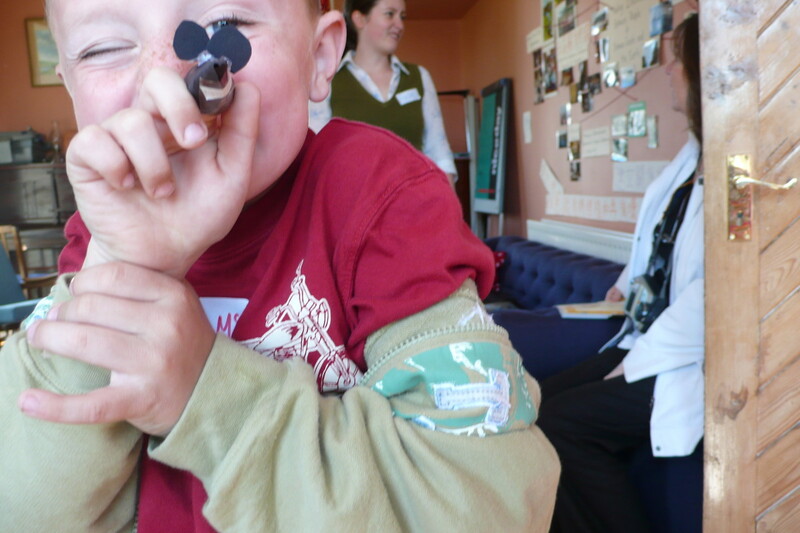 Then, comb through your or your child's hair to find and remove the head lice and nits. Go in small sections and focus on getting the lice out. The lice move fast and don't like light, so you may have to move quickly. Be warned: this process is going to take a LONG time the first time you do it. Because you will be manually removing the lice from the infected person's head, it could take anywhere from an hour to three hours or more to find most of the lice and nits. This first combing is the most important, as it will be when you remove the live adult lice and begin to remove the nits. When you find a louse, pick it out with the comb and wrap it up in a paper towel and squish it. Throw it away or flush it immediately. You will know it when you find one. They are sometimes tiny, but sometimes larger 6-legged bugs that crawl away when you move the hair around. The full-grown adults are usually brown to black in color and move quickly. They are about the size of a sesame seed. 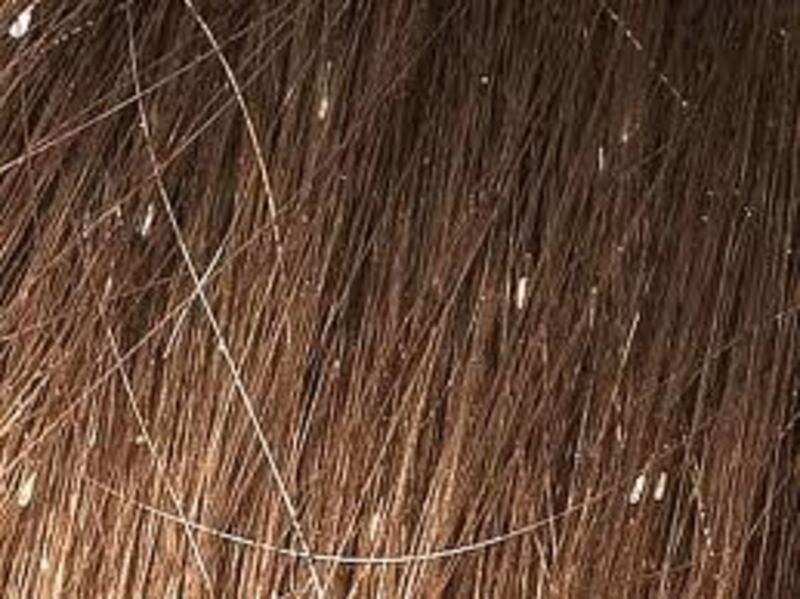 The younger lice may be light brown or lighter in color. The nits (eggs) are yellow to white balls that are firmly attached to the strand of hair, usually close to the scalp. After you finish the combings, sterilize the comb by boiling it for a few minutes, running it through the dishwater, or soaking it in ammonia for 20 minutes. Repeat the nit combing and louse removal process once a day for at least two weeks in order to eradicate every nit from the person's hair. Following the first combing, you can move to a dry combing method to remove the remaining nits from the hair. This ensures that any left-over nits that might have hatched will be removed. After that, you may choose to check for more nits and lice once a week for the remainder of the month. If you have picked through your child's head and still don't feel 100% confident, take him or her to a professional to at least be inspected. This should cost less money than having them do the whole thing but it will give you some peace of mind. Wet combing is the most effective way that I've found to get rid of head lice through personal experience at my home and with patients in the hospital. I know that most doctors and pharmacists will recommend using an over-the-counter treatment to kill the lice. In my opinion, this is probably because big pharma makes more money off selling chemical kits than one comb. The video below gives a good overview of how to comb through your child's hair properly and thoroughly. They use a cream product that is not necessary, but may help. No one product, prescription or non-toxic, is 100% effective. 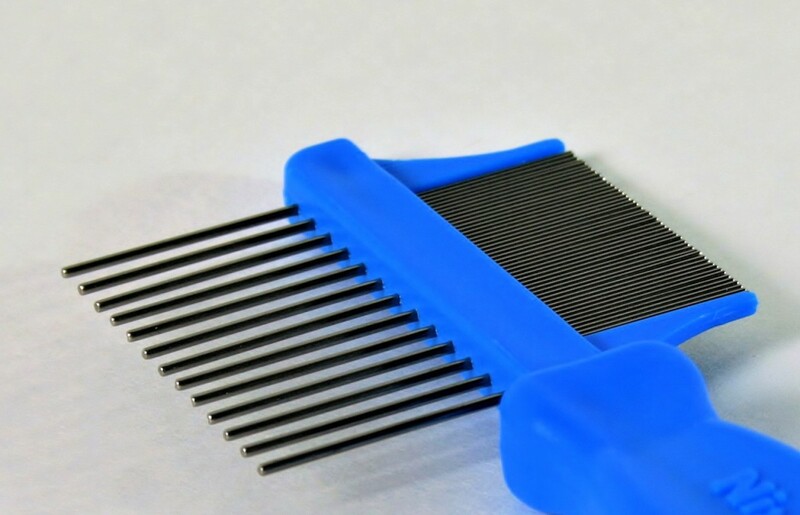 Your best tool in ridding the pesky critters is the addition of using a well-constructed metal lice comb with your product of choice...When in doubt, COMB! COMB! COMB it out! Clean your home's linens thoroughly. You can sterilize the blankets, sheets, and pillowcases from your and your child's beds by running them through a dryer on high heat for 10 minutes. Then you'll want to throw each pillow into the dryer on high for at least ten minutes. Wash all clothing, jackets, and hats that your child has worn in the last 48 hours in hot water and dry in the dryer on high. If your or your child's laundry basket is made of fabric, you might want to think of washing and drying them too. If you have any small rugs, throw them in the dryer on high for 10 minutes. 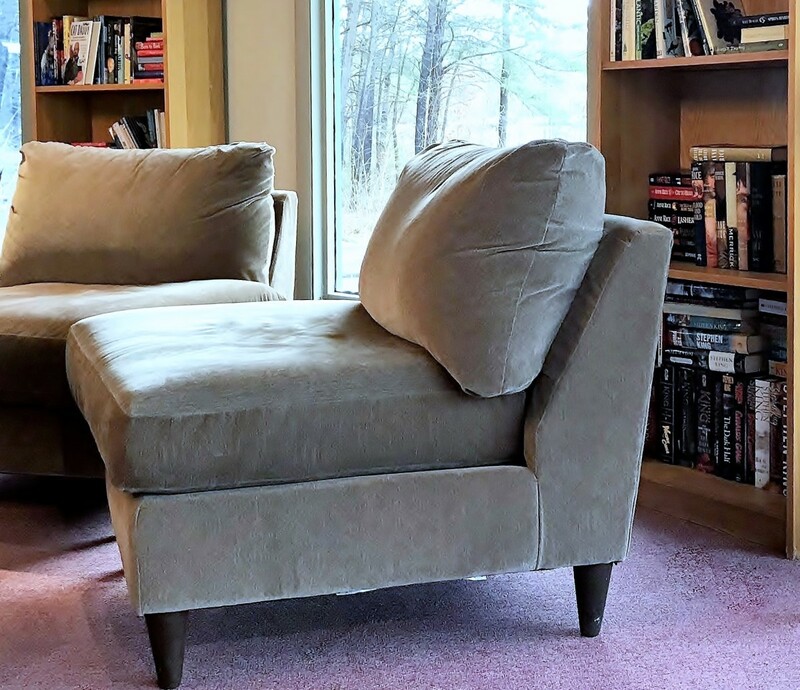 You'll want to throw the pillows and blankets from your couches, sofas, love seats, and recliners in the dryer on high for 10 minutes as well. Lastly, don't forget to put your child's stuffed animals in the dryer on high heat for 10 minutes. If this is too much laundry for you, you can stick them in trash bags and tightly close the trash bags. Leave them in the bags for at least three days and any potential head lice will be suffocated. Do this cleaning at the time of the first combing. One week later, you should sterilize all the bedding once again (by running it through the dryer on high heat for 10 minutes), and then do it once more at the two-week mark after the first combing. If you do your research online, many websites will say to clean your home thoroughly, while others will say this step in the head lice process is not necessary. I believe it depends on the level of infestation, but because I can't see your child's head or your head to tell you, it's safer to go through the cleaning process to be sure you've eradicated any left-behind lice that might re-infest your or your child's head after you've gone through the combing process. You most likely do not need to worry about finding lice anywhere besides someone's scalp. Lice can only live off of the human head for 48 hours, so you only need to worry about cleaning areas where your child has been in that amount of time. Furthermore, it is incredibly rare for lice to spread through anything other than head-to-head contact and a nit that has fallen off the head will not be able to hatch. So you shouldn't worry about lice on your couch. Focus on the lice on the head. 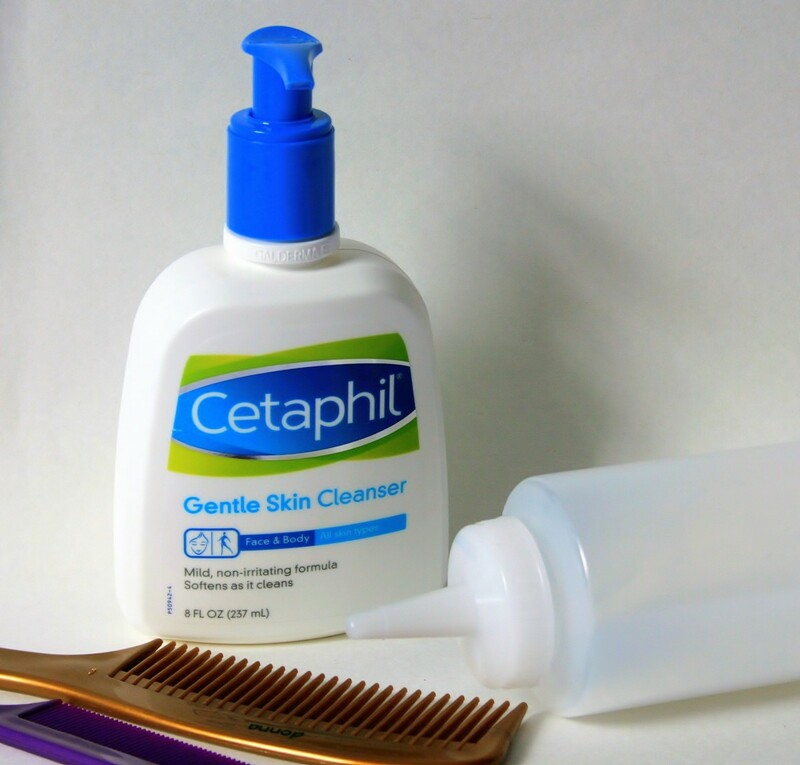 The Nuvo method was shown to be 96% effective in a 2004 article in Pediatrics magazine.2 It uses Cetaphil cleanser to coat the lice and suffocate them over a period of eight hours. It is preferable to other smothering methods (such as using other kinds of oils) because it is much less messy and easier to do effectively. Note: This method has a very detailed website with a great FAQ section as well as information on common mistakes when people attempt to use this method. If you want to use the Nuvo method, please visit their website to get the most detailed information. Note: According to the Nuvo Method website, removing the nits is not necessary for the treatment to work. It is recommended that you skip removing the nits unless your school has a no-nit policy. Fill an 8 oz. condiment container (like what they use at Subway for dressings) with Cetaphil cleanser. Have your child sit in a chair and drape a towel over their shoulders to catch the cleanser that drips down. With the nozzle touching the scalp at all times and starting at the left side, zig-zag the cleanser from side to side, moving from the front to the back of the scalp. (The website has helpful illustration for this). Use about 1/4 of the bottle. Do not skimp! Then, start at the back of the scalp and moving to the front from right to left, criss-cross the first zig zags (with the nozzle touching the scalp at all times). Now it should look like your child's head is covered in small squares. You should have used another 1/4 bottle. Now, use your fingers to lightly massage in the cleanser. Repeat the process for applying the Cetaphil (making zig zags and criss-crossing the zig zags) until you've used up the whole bottle. Do not skimp! It should be dripping off of your child's head. If your child has long hair that reaches the upper back, you should apply another 1/2 bottle of cleanser to that section of hair and massage it in with your fingers thoroughly. Wait two minutes for the cleanser to start acting. Then, comb out the lotion using the regular hair comb. If your child has long hair, you might want to first use a wide-tooth comb before using the regular one. 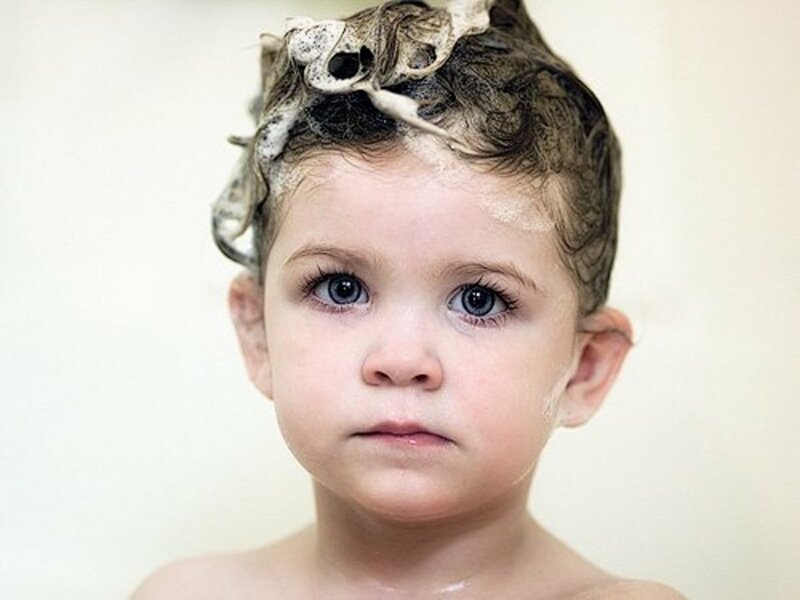 The more cleanser you comb out, the faster your child's hair will dry for the next step. At this point, if you need to remove the nits in order to be in compliance with your school's no-nit policy, you should comb them out now with your lice-and-nit comb. Removing the nits is not necessary for this treatment to work, however, so if you can skip this step, you should. It adds a lot of extra work. Blow the hair completely dry, from roots to tip. It will take about three times longer than normal. Make sure the hair is completely dry. You can style the hair how you like at this point, but don't put any additional products in it. Leave the Cetaphil in for at least eight hours. This is how long it takes to suffocate the lice. Repeat at one-week intervals for three weeks. Sterilize the family's combs and brushes either by soaking in rubbing alcohol for 10 minutes or putting them in the dishwater for a hot cycle. Run all bedding from all beds in the house through the dryer for 10 minutes on high heat. Have your child change their clothes after the treatment and put the dirty clothes in the hamper to be washed. Some common mistakes with this method are skimping on the amount of cleanser, not applying the cleanser thoroughly, not drying the cleanser completely, or not completing three rounds of treatment at one-week intervals. Don't do those things! Follow the instructions exactly. And if you have more questions about this method, please see the Nuvo Method website. It is very detailed. One academic paper published in Pediatrics in 2004 reported very high success rates with the Nuvo method however, it is not the preferred treatment for head lice but may be worth trying since it is inexpensive and available over-the counter. You might want to throw out your hairbrushes and buy new ones. In the future, never share brushes between family members. Now, if you don't have the time or patience to sit down and pick through your child's hair strand by strand, or if you're worried about messing up the Nuvo treatment, or if you simply want peace of mind as fast as possible, you could always look up a professional nit remover in your area and have them do it for a price. Most major cities have at least one or two companies that will even come to your house, clean your house for lice, and remove the lice from your child's head for a few hundred bucks! It's certainly pricier than doing it on your own, but they usually have a money-back guarantee and complete the lice removal within one session. If you might have to miss work in order to comb through your child's hair, you should especially consider having a professional do it in order to prevent loss of wages. The cost of seeing a professional may be eligible for your FSA or HSA, so you should double check. Most people's first mistake with attempting to get rid of head lice is that they listen to their doctors' or their pharmacists' advice. Almost every doctor and pharmacist in the United States will tell you to buy an over-the-counter pediculicide to treat your or your child's hair with. There are two problems with this. One is that these over-the-counter pediculicides are nasty chemicals. Another is that they frequently don't work to remove the head lice! This is why you shouldn't spend your money on Rid, Nix, or the like. In my opinion and experience, they are expensive and a complete rip-off! You're better off with natural and gentle methods that are proven to work. Wearing hair in braids can help prevent spread of lice during an outbreak. Lice Prevention: Educate Your Child and Yourself! The last step in removing head lice from your life once and for all seems like the easiest step, but it's probably the most effective in keeping the head lice away once they are gone. This will also prevent anyone else in your household from bringing these buggers home! This step is educating yourself and your family members on how to prevent head lice infestation or re-infestation. So how do you keep the head lice away for good? Head lice are passed back and forth between people through head-to-head contact. This means either by cuddling with another person or lying or sitting beside an infested person with heads close enough together so the lice can crawl from one head to the other. Sometimes head lice can be passed through people sharing hats, hairbrushes, jackets, and the like. This isn't the most effective way for head lice to move around, however, so it's not very common. They like hot heads with a blood supply to feed them (sorry to be gross, but it's true). Don't get your head close to others' heads for long periods of time. This means no long hugs, cuddling, lying, or sitting beside someone close enough so your hair touches. This often happens with schoolchildren, particularly girls (you can probably imagine why—think sleepovers). Teach your child to not touch other children's heads or braid other kids' hair. Don't share hats, hairbrushes, jackets with hoods, hairbands, etc. with others. Don't lie on carpets, rugs, pillows, blankets, etc. 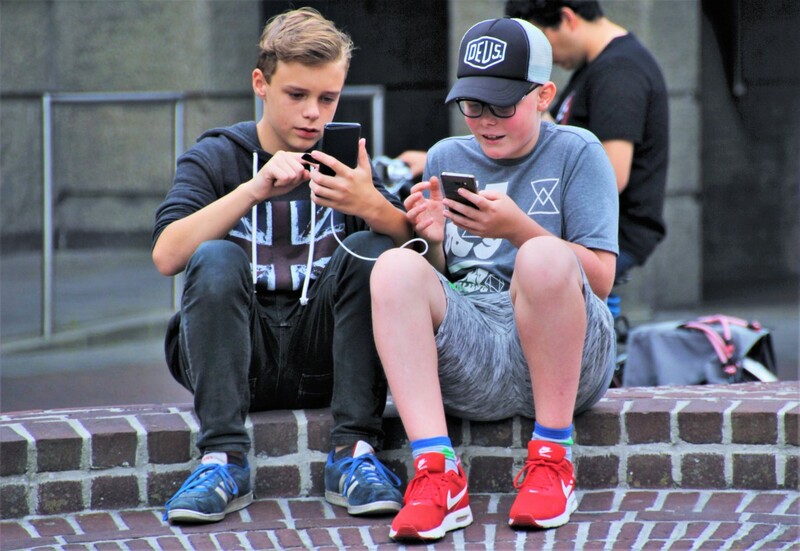 at school or elsewhere where other people have been lying or playing. Keep your head up, figuratively and literally! This is the only way to prevent getting lice again. Keep long hair pulled back in a braid or a pony tail. Check for lice and nits regularly. To check if your child has lice, follow the instructions for the Nuvo method above up until the part where you're combing out the cleanser. At that point, comb out the cleanser onto a light-colored paper towel or puppy pad. Once the cleanser has absorbed into the paper towel check it to see if you see any adult, teenage, or baby lice. Seeing eggs does not count as a live infestation. Using a magnifying glass and a bright light may be helpful in order to distinguish between real lice and things that look like lice, like dandruff, debris, or other things that can be caught in the hair. Two of these identification tests done two weeks apart that both show no sign of crawling lice means that there is no active infestation. For more information on the lice identification test, you should see the Nuvo Method website. Lice especially like nape of the neck and behind the ears to lay their eggs, so be sure you check there if you're looking for nits. Check for nits in very bright light, preferably in direct sunlight or with a bright light shining at the part of the head that you're checking. Symptoms of lice include itchiness, sores or scabs on the head from itching, inability to sleep, nits, and presence of crawling lice. Not all head lice infections result in itchiness, however, which is why it's important to check for head lice regularly. Lice are spread through head-to-head contact. They die if they do not feed for 48 hours. This is why some sources recommend putting possibly infected items of clothing or bedding in plastic bags for 48 hours. Rarely, lice can be spread from shared use of personal items of someone who has lice. This is less common than head-to-head contact. Even more rare is lice being spread through furniture or carpeting. According to the Nuvo website, one study by an Australian researcher evaluated the floors of 118 schools where 20% of the students had head lice, and there were no lice found on the carpets. Do any of these products actually work to get rid of lice? The amount of information on the web about how to get rid of lice at home can be overwhelming. This section will try to help you understand why there aren't other common home remedies listed above and why the ones that are listed here work. Do You Need to Remove the Nits in Order to Get Rid of Lice? No, you don't. As long as you can interrupt the life cycle of the lice and remove all crawling lice, you should be able to treat the lice.2 That said, many schools have a no-nit policy, so you may need to remove the nits in order to be in compliance. 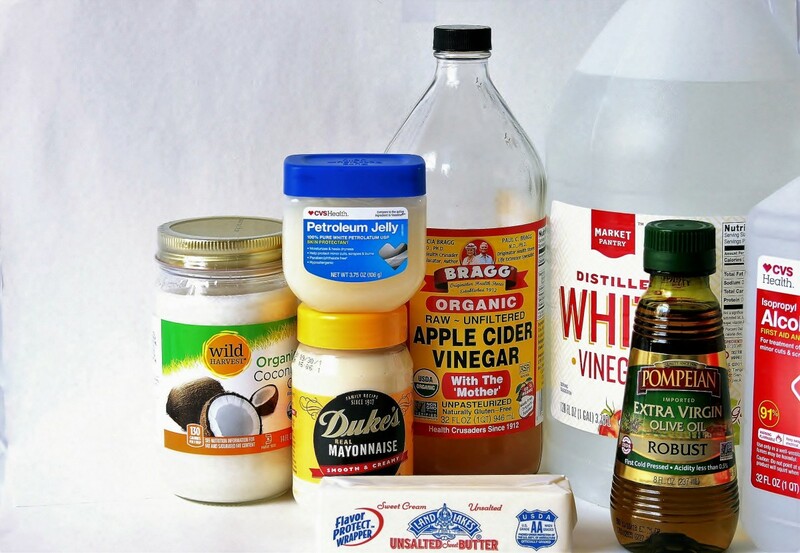 What About Using Olive Oil, Coconut Oil, Mayonnaise, or Petroleum Jelly (Vaseline) to Suffocate the Lice? It's possible that using these products might work to suffocate the lice. However, they are extremely messy and they are easy to wipe off of the head if the child lays down or just brushes their hair away, and the product needs to be left on for eight hours, making this not a great option for most people. It's best to use the Nuvo method for smothering as it is cleaner, has been proven to work, and is less prone to error. What About Using Rubbing Alcohol or Listerine to Kill the Lice? Some people online say they have killed lice through use of rubbing alcohol, listerine, and similar products. Do these actually work? Maybe. There are no scientific studies that have been done to test the effectiveness of them. Furthermore, these products can be irritating to the skin and can cause burning of the eyes. If you must try using one of these products to kill lice, do so at your own risk. Otherwise, please try one of the above methods that are toxin free and are proven to be effective. What About Using Essential Oils Like Tea Tree Oil or Neem Oil to Treat Lice? There have been some studies that show essential oils (including tea tree oil, lavender oil, neem oil, and ylang ylang oil) are effective at killing lice. They have not been studied extensively, however, and it is hard to figure out how much oil is actually necessary to treat a lice infestation and what kind of application procedure you should follow. So while it's possible to attempt treatment of a lice infestation with essential oils, it might be easy to do so improperly. For these reasons, it's best to use one of the above recommended methods for lice removal. Essential oils may have some benefit for preventing lice infections.4 If there's been an outbreak, it may be worthwhile to invest in a lice spray or shampoo that may help ward the little critters off. What About Using Gasoline or Kerosene? Do not put these products on your child's head. They are dangerous to use and are not proven to help cure or prevent lice infestation. What About Using White or Apple Cider Vinegar or Lemon Juice to Get Rid of Nits? Some sites on the Internet recommend using vinegar as a way to help loosen the glue that holds nits onto the shaft of the hair. I could find no evidence for this belief. However, vinegar is not too strong of a chemical and does not cause much irritation to the scalp, so if you want to try using it to help get rid of nits, then it might be worth a try. [Vinegar] dehydrates the nit glue, but also the hair. 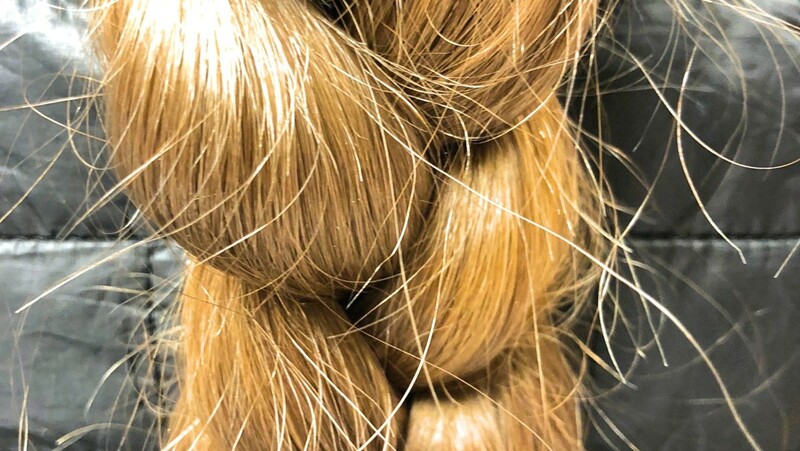 This alters the texture, making the hair more difficult to work with, which could make it even more painful for the child during the comb-out process. Why Shouldn't I Use a Commercial or Prescription Treatment? The overuse of OTC products like Rid and Nix have caused some lice to become resistant to the main neurotoxins in those products. Other treatments rely on powerful toxins that you probably don't want to be putting anywhere near your body if you can avoid it. Furthermore, many people do not follow the directions completely when using these products, causing the persistence of infestations, increased cost, and increased exposure of your child to toxins. If you want to get rid of lice really fast, you might want to consider paying a professional. They'll treat you quick. If you don't want to shell out for that, then you should follow the Nuvo method exactly. Within eight hours, you will have killed all of the lice crawling on your child's head and sterilized your home of crawling lice, and you will have interrupted the lice's life cycle so when you repeat the treatment the following two weeks, you will kill them off. This method also doesn't require removal of nits and combing, which is very time-consuming and not necessary for treating lice. How Can You Kill Lice? In general, there are several ways to make lice die. Poison them—some neurotoxins and essential oils have been proven to be toxic for head lice (though the effectiveness of some toxins is decreasing due to immunity). Lice infestations can be extremely stressful and disrupting. It's a shame that you have to go through this, but know that you're not alone. You will get through it. Good luck and wishing you good health. Reviewed by Stephanie S. Gardner, MD. "What's the Treatment for Lice?" March 8, 2017. WebMD. Accessed February 20, 2018. Nuvo for Headlice website. Accessed February 20, 2018. Shamus, Kristen Jordan. "Hard to kill super lice are resistant to many chemicals." March 9, 2014. USA Today. Accessed February 21, 2018. Madell, Robin. Medically reviewed by Debra Rose Wilson, PhD, MSN, RN, IBCLC, AHN-BC, CHT. "Tea Tree Oil Treatment for Lice: Does It Work?" Do you feel this advice was or could be useful to you? Nicole Canfield, this is an awesome article - thank you for writing it. One note: PinkMommy's comment is correct - lice can only live about 24 hours off a human host (they need temps to be human-head-temp and need to feed regularly, or they deteriorate fast) - 48 hours in ideal lab conditions. So, truly, PinkMommy's comment about quarantining everything for 48 hours is spot on. Frankly, the risk of getting head lice from anything but another head is almost infinitesimally small. 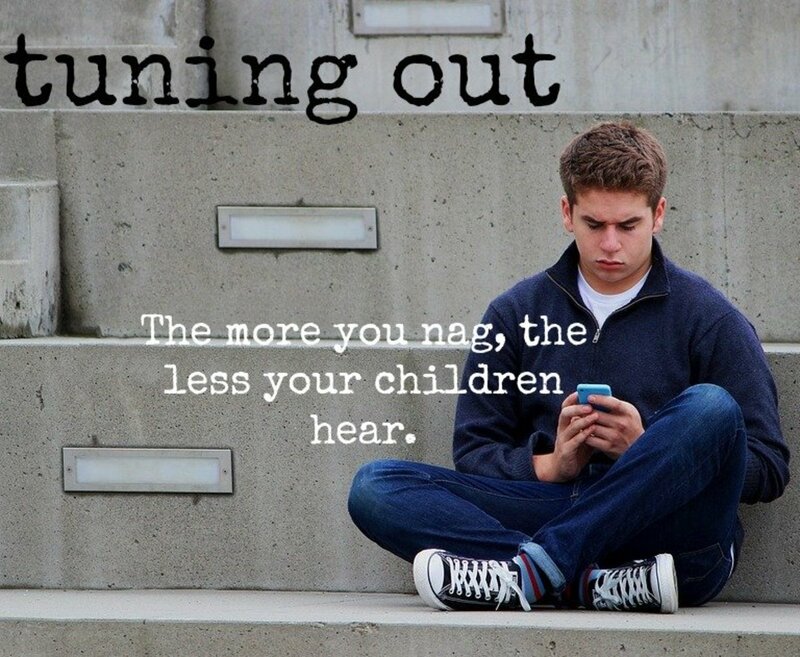 As you noted, we should spend less time vacuuming and more time combing. Source: CDC, PubMed and headlice.org. my 11 year old got lice once and the treatment I did worked like a charm. We went out to walmart to find some lice remover and when we used it, nothing changed and it didn't work. Then we researched other treatments and tried to put mayonnaise on her head but it still didnt work. Then the treatment that worked was baby oil and alcohol. All you have to do is put a towel around the person who has lice, put on a shirt that you wouldn't mind getting dirty, and add an almost equal amount of baby oil and alcohol, just a bit more alcohol. When the hair is soaked, put a shower cap or plastic bag on top of the head and wait 2 hours for the lice to be dead. Once 2 hours have passed, take a shower and wash hair thoroughly. I hope this works for you! Pinkmommy - Do you want to let bugs crawl around on your head and hope they die off? I don't want to take that chance. This information is coming from a professional who professionally removes lice and nits for a living. Thanks for your input though. Don’t make people do extra work. Lice die off a host after 24 hours. So just quarantining everything for 48 hours should suffice. Genna - LOL aren't they awful? I think people do make them seem worse than what they are.luckily they spread no diseases and are somewhat easy to get rid of if you do the combing every day for at least 3 weeks. Yeah, the pharmacies and doctors tell you to spend your $$$ on those treatments when in reality all you have to do is get a good nit comb and comb the buggers out! KittyTheDreamer: Ugh! I remember when my son brought these home from grammar school…apparently there was an epidemic parents were never informed of, and just hanging one’s coat next to another child’s whose head was infected was all that it took. I remember that horrible smelling pediculicide shampoo, the constant combing, and how uncomfortable this made my little boy. It would have been helpful to know that this awful shampoo wasn’t necessary. Interesting article.